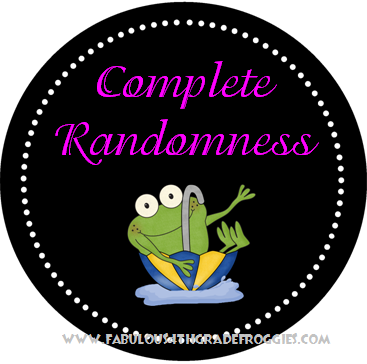 Is "randomness" even a real word? Even if it is not, it describes this post. Just a bunch of randomness! Isn't the "Complete Randomness" picture above TOADally cute? I made it using an awesome frame from a set that my friend Tessa made is selling at her store for only $2.00! There are a total of 24 frames in 8 different colors and 3 different shapes. It's a must see get! Go to Tessa's store: Tales from Outside the Classroom on TPT and check it out. I am thinking of using the green starburst frames for labeling my library. Just more for me to think about. 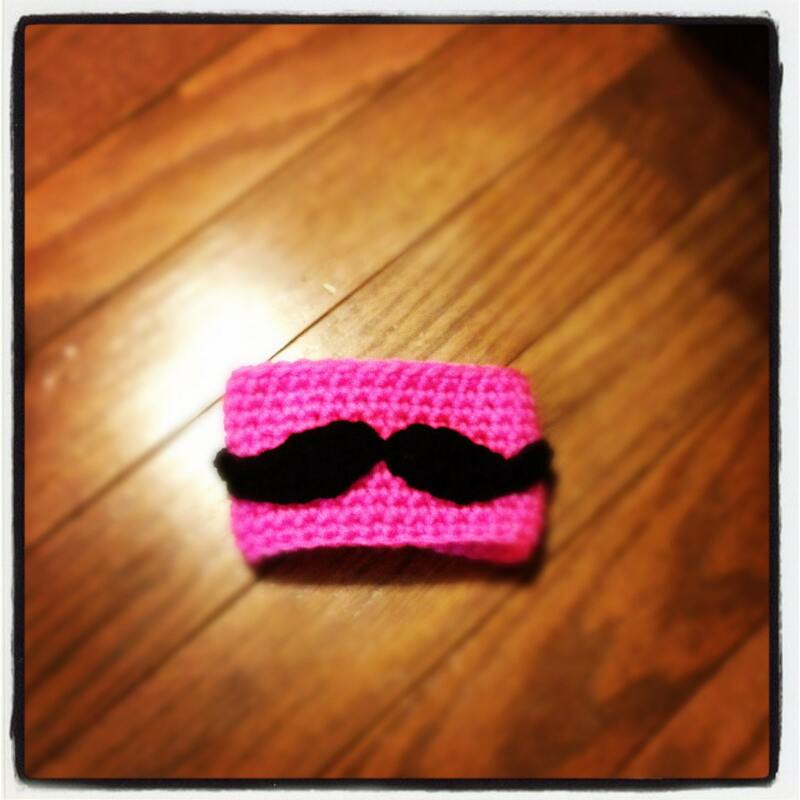 I "mustache" you a question... Do you drink coffee? Hahahaha Get it? Mustache = Must ask... My friend Farley would get it!!!! Anywho, Do you like coffee? I do! I actually have it running through my veins. I am a bit addicted, most of my peeps would say. Not only am I addicted to coffee, I am addicted to cuteness as well. 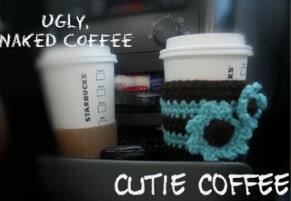 Check out these adorable coffee cozies or is it cozi? My friend Squirrels makes them. Oh wait, she isn't a real squirrel but she is a bit nutty (one of the reasons I love her) her name is squirrel...some of you may know her of Miss Squirrels but the truth is her name is Staci. She just started her very own etsy shop! I will have the cutest coffee this side of the Mississippi using the cozy I purchased from her. No more naked coffee cups for me! I am getting the brown and blue double flower that you see in the pic to the right and I am getting the same pattern in black and pink.... Total cuteness, huh? Speaking of cuteness, my friend Crystal from Kreative in Kinder has made the cutest Classroom Theme Decor sets ever!!!! She has her Apples and Circus themes on sales right now!!!! Go to Kreative in Kinder on TPT and see all her themes. She has so many... western, rock star, sports, ocean/beach, rainbow, pirate, owl, and so many more. Next year my theme is going to be "Peace, Love, and 4th Grade Frogs" and Crystal is making classroom decor pack just for me! It sounds like I am doing commercials for my friends and I am not, in fact they don't even know I am blogging about them. Do I need permission to include their names? Hmmmmmmm, I'll take my chances. Next month (July 15th) I will have been blogging 1 year. I was a blog stalker and decided I wanted to share the fun my students and I had in my classroom too. However, I had no idea where to start or even who to ask. Then I found Teaching Blog Traffic School. Crazy, huh? It's not an actual school but an online forum where I learned (and am still learning) soooooooooo much about blogging from creating a blog to what to blog about to networking. The owner & blogging guru, Charity, is so nice and so knowledgeable you would just love her. If you are thinking of starting your own blog (or if you're wanting to improve the one you already have) I would highly recommend TBTS! I just discovered The Clever School Teacher. Have you seen it? They sell books, but that's not all, they also help you find the books you need to teach! That's right, they've already done the work for you. For example the picture to the right is the set they recommend for grades 3-5 to use to teach inferring. How cool is that? They have great sets for comprehension, writing, word work! Cool beans!!!!! Check out this new blog (click on the pic) I am a part of, its called Endless Pinabilities! Tanja started an awesome blog where a bunch of teachers who love to pin, pin educational stuff, DIY, crafts and recipes we've made....we just pin a bunch of goodness! You need to check us out. Next weekt we will be blogging about 4th of July/Patriotic stuff and Canada Day. Oh my, this post is getting longer then I expected. I still have more to say but I think its enough randomness for now. I have started reading The daily 5 and want to read more tonight. CAFE, Book Whisperer, and Teach like a Champion (along with others) are all on my "to read" list. Speaking of The daily 5 and CAFE, don't forget I created another blog that is dedicated to Upper Elementary book studies. On July 1st we will start The daily 5 and CAFE book study at We Read, We Blog, We Teach. Come join us!!!!! Went to Hobby Lobby today and there were frogs everywhere!!!!! I live in central Texas and definitely feel your pain about 100 degree heat! I went to the The Clever School Teacher site and LOVED it! It is all organized for you right there! Oh, and I just finished The Book Whisper and it has changed my mind about the way I will go independent reading next year; great book! As much as I complain about the winter, I love having all 4 seasons here on the East coast. I'm about to start the Book Whisperer too, looking forward to it!